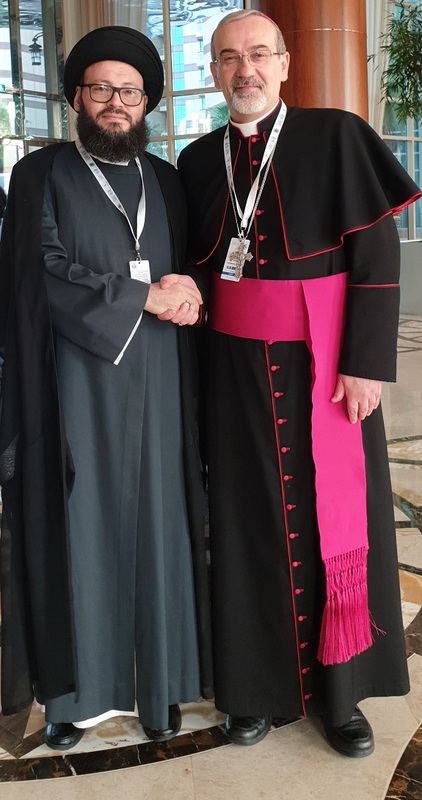 • الموضوع : Dr Mohamad Ali El Husseini during his meeting with the Archbishop of Jerusalem: Christian-Muslim convergence and rapprochement need and reflections will be positive on societies in promoting peace and tolerance . The Secretary-General of the Arab Islamic Council in Lebanon, Dr. Mohamad Ali El Husseini, met with the Archbishop of the Apostolic Vicar of the Patriarchate of Jerusalem, Father Pierbattista Pizzaballa, where they discussed the current challenges facing the world due to the spread of extremist ideology. The meeting was held on the sidelines of the Humanitarian Brotherhood Conference held in Abu Dhabi. 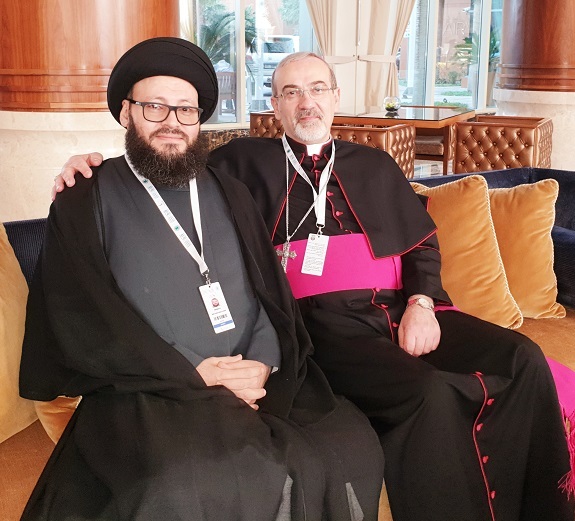 El Husseini stressed the importance of the joint meeting between Islam and Christianity, especially as they are issued by a single message calling for peace and the consolidation of the concepts of tolerance and acceptance of the other as it is.